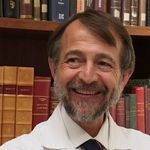 Full Professor of Clinical Neurology, from March 29, 2007 to September 30, 2008 at the University of Torino Medical School and from October 1st to today at University of Torino Medical School San Luigi Gonzaga. Recipient of clinical Research Grants from Associazione Italiana Sclerosi Multipla (A.I.S.M. ), Genova, Italia, from December 1991 to November 2001 (Titles: Effects of Interferon alpha-2a in RR MS; Effects of High Dose Methylprednisolone in Preventing Conversion to Definite MS; A Randomized comparison of Interferon beta-1b and Interferon beta-1a in RR MS). President of F.I.R.N.I. Piemonte Onlus (Associazione Italiana per la Ricerca NeuroImmunologica in Piemonte) since 2001 to today. TREATMENT EFFECT OF INTERFERON BETA-1b. 4)	THE THERAPY OF MULTIPLE SCLEROSIS WITH IMMUNE-MODULATING OR IMMUNOSUPPRESSIVE DRUG A CRITICAL EVALUATION BASED UPON EVIDENCE BASED PARAMETERS AND PUBLISHED SYSTEMATIC REVIEWS. Clerico M, Rivoiro C, Contessa G, Viglietti D, Durelli L.
Clin Neurol Neurosur 2008; 110: 878"885. Cochrane Database Syst Rev. 2008;2: CD005278. Review. 7)	THE OPTIMIZATION OF INTERFERON FOR MS STUDY: 375 MICROG INTERFERON BETA-1B IN SUBOPTIMAL RESPONDERS. J Neurol. 2008; 255: 1315-23. 8)	EPIDEMIOLOGY OF ALS IN ITALY: A 10-YEAR PROSPECTIVE POPULATION-BASED STUDY. 9)	COMORBIDITY BETWEEN CIDP AND DIABETES MELLITUS: ONLY A MATTER OF CHANCE? 10)	COGNITIVE IMPAIRMENT AND ITS RELATION WITH DISEASE MEASURES IN MILDLY DISABLED PATIENTS WITH RELAPSING-REMITTING MULTIPLE SCLEROSIS: BASELINE RESULTS FROM THE COGNITIVE IMPAIRMENT IN MULTIPLE SCLEROSIS (COGIMUS) STUDY. 11)	250 MICROG OR 500 MICROG INTERFERON BETA-1B VERSUS 20 MG GLATIRAMER ACETATE IN RELAPSING-REMITTING MULTIPLE SCLEROSIS: A PROSPECTIVE, RANDOMISED, MULTICENTRE STUDY. 12)	LONG-TERM EFFECT OF EARLY TREATMENT WITH INTERFERON BETA-1B AFTER A FIRST CLINICAL EVENT SUGGESTIVE OF MULTIPLE SCLEROSIS: 5-YEAR ACTIVE TREATMENT EXTENSION OF THE PHASE 3 BENEFIT TRIAL. 13)	THE PREVENTION OF POST-PARTUM RELAPSES WITH PROGESTIN AND ESTRADIOL IN MULTIPLE SCLEROSIS (POPART'MUS) TRIAL: RATIONALE, OBJECTIVES AND STATE OF ADVANCEMENT. J Neurol Sci. 2009; 286: 114-8. TREATED WITH 375 "CG INTERFERON-β-1b. 16)	EFFECTS OF IMMUNOMODULATORY TREATMENT WITH SUBCUTANEOUS INTERFERON BETA-1A ON COGNITIVE DECLINE IN MILDLY DISABLED PATIENTS WITH RELAPSING-REMITTING MULTIPLE SCLEROSIS. Patti F, ... Durelli L, et al. Mult Scler 2010; 16: 68-77.